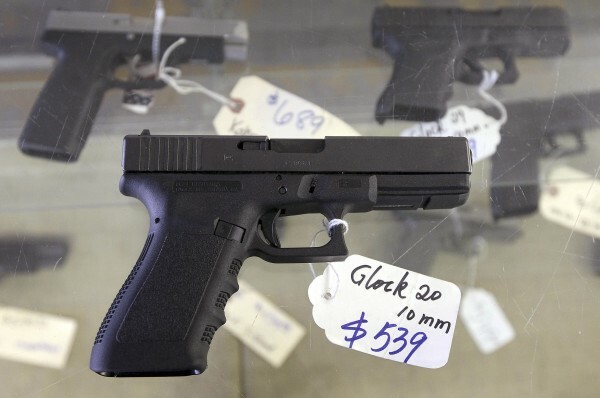 A Glock 20 10mm hand gun is displayed at the sales counter of the Guns-R-Us gun shop in Phoenix, Arizona in this file photo taken December 20, 2012. An amended bill to allow people to carry concealed weapons without a permit is currently awaiting a signature from Gov. Paul LePage. In addition to doing away with the permit requirement, it would also do away with the requirement that people show they understand the basics of gun safety, such as by completing a gun safety course. This may seem obvious, but in order to use a gun safely, you must know how to load your firearm, where the safety is and a basic grasp of the nomenclature: i.e. barrel, trigger, chamber, hammer, magazine and many, many others. If you don’t feel comfortable with your knowledge of the firearm, you can read the gun manual, talk to the gun salesmen you bought it from or seek out an expert. Like any other appliance, firearms need maintenance, too. Regular cleaning, inspection and storage are all integral to the gun’s lifespan and, most importantly, using the gun safely. If you’re unsure about the last time you cleaned your gun or what kind of state it’s in, you should bring it to a gunsmith. Generally, this means keeping the gun unloaded whenever it’s not being used. If you keep a gun at home and it’s not for self-defense, it shouldn’t be loaded. If it is for self-defense, investing in a gun safe or some other secure method of storage is highly recommended. Even if you know it isn’t. There are three important reasons for this rule: First, there’s always the possibility that you are wrong, and the gun is loaded. Second, unsafe handling is a bad habit. If you practice bad habits with an unloaded gun, there’s a good possibility you’ll do the same with a loaded one. Third, the people around you may not know your gun isn’t loaded. At the very least, you’ll scare them if you’re being unsafe. At worst, they could respond to a perceived deadly situation in such a way that could be detrimental to your safety. Never point a gun directly at someone. Doing so could make someone think you are trying to harm them, motivating them to harm you first. What’s more, it’s considered rude — and unsafe — to even face someone while holding a gun by its grip. Always be aware of your surroundings, and don’t force those around you to take drastic action. A “safety” is the mechanism on a gun that is designed to prevent the gun from firing. This preventative measure built into the gun, however, is just as effective as keeping your finger off the trigger of a gun until you are ready to shoot. While you should know where the safety is located on a gun and how it works, a safety should not be substituted for always keeping the gun at the minimum level of readiness. A safety is a mechanical device, and all mechanical devices can fail. The trigger should always be thought of as the part of the gun that shoots a bullet. With that in mind, you shouldn’t have your finger on the trigger unless you intend to fire. You can, however, rest your finger on the trigger guard or on the body of the gun that is above the trigger. This finger position is called the “index position.” Moving from this position to the trigger takes very little effort, so even if you need to fire quickly, you don’t need to keep your finger on the trigger to do so. A gun that is in your hand is always your responsibility. You should check whether or not the gun is loaded every time you pick up a gun or a gun is handed to you. If you have a gun in the house, and you try and hide it, chances are your child is going to find it. Investing in trigger locks, lockable gun cases and gun safes is a necessity to protect your firearms from both unauthorized adults’ hands and your children’s. Never drink and shoot, or drink and wield a firearm, loaded or unloaded. “Gunpowder and alcohol don’t mix” is and will always be true. The wrong ammunition can cause a variety of problems, some of which are fatal. If you’re unsure of the correct ammunition for the gun, it’s usually printed on the side of the gun. You can also get the ammunition information from the gun manual, the manufacturer of the gun or from a gun expert. You should always know what your bullet will be hitting. If you can’t see your target, you should never pull the trigger. This is especially true for hunters. If you see or hear a rustling in the bushes, make sure you can see the animal before taking a shot. It could be that the rustling was caused by a fellow hunter or some adventurous children.